Posted January 31st, 2018 by alexa & filed under Families. 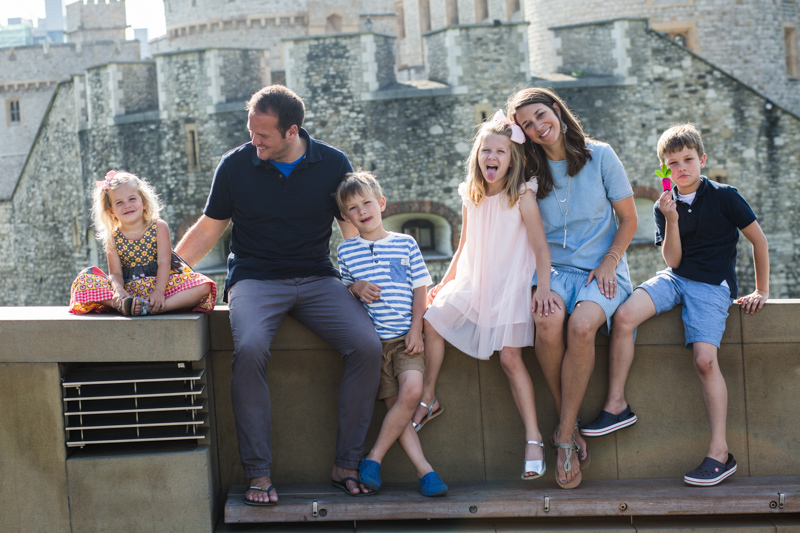 A few months ago I shared a blog from a very special family photography session in London. 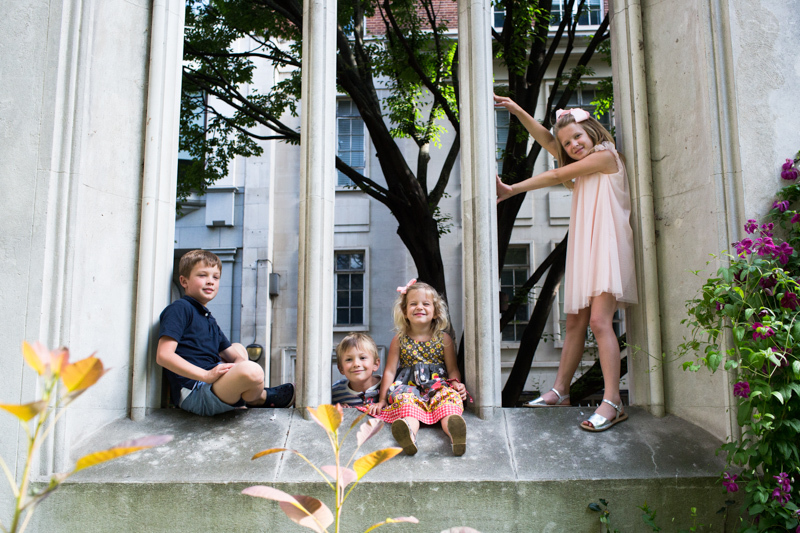 The link’s here if you’d like to take a look Family Photography Session. 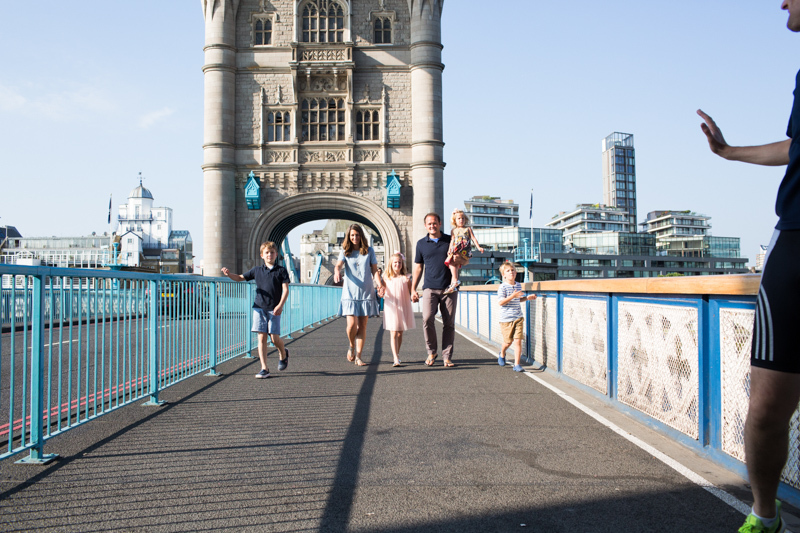 That session was the first of three I did for a lovely American family who wanted to document their time in London. They had a lived here for a few years and were about to move back home to Chicago. 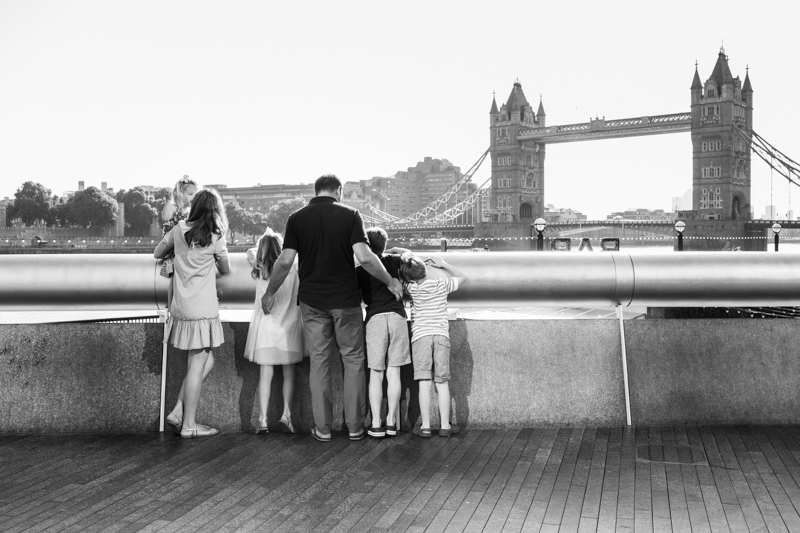 Our aim, over three family photography sessions, was to photograph the family in all their favourite parts of London. We planned to start just after sunrise and finish before the streets of London started to get busy. In part 1 of this epic photography adventure we had covered the areas around Westminster Bridge and the Houses of Parliament. We also took photos around The Royal Festival Hall, Trafalgar Square and Covent Garden. 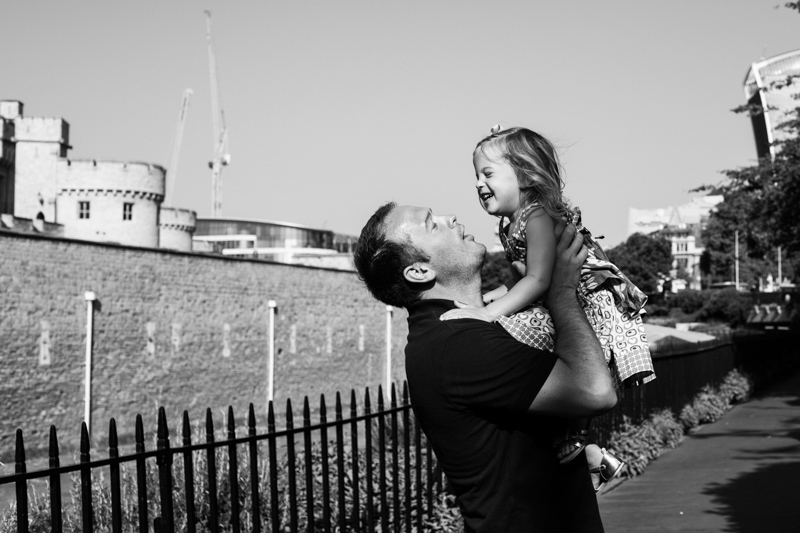 Dave and his family were really happy with the photos from that day and we started planning part 2 with excitement. So in June we met up once again nice and early, just after the sun had risen. I can’t pretend to be up at sunrise too often in the summer months, but it is absolutely magical! Apart from a few people on their way home from partying the previous night, we had London to ourselves. And of course the light was magical. 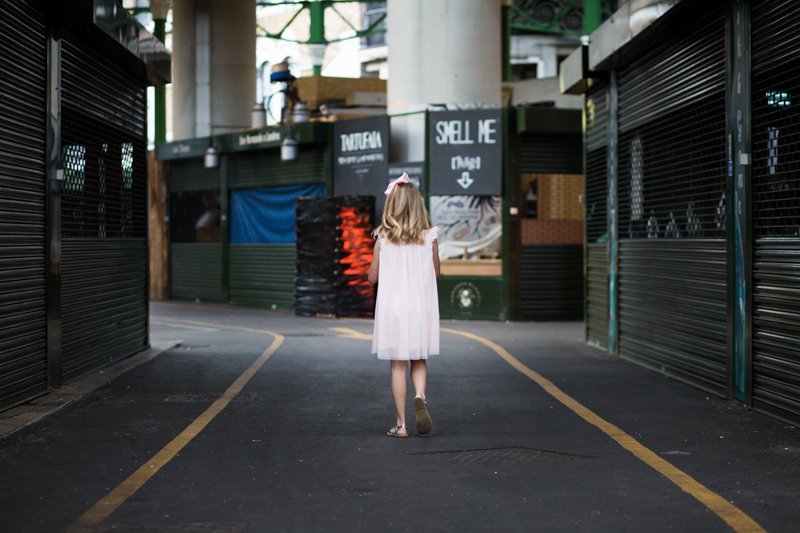 Our starting point this time was Borough Market, which works so well for photos with it’s fantastic backgrounds. One of my favourite images of the day was actually one of the first I took. We had just met and the littlest member of the family was still feeling a bit sleepy. I don’t think she was too keen on the idea of doing a family portrait. 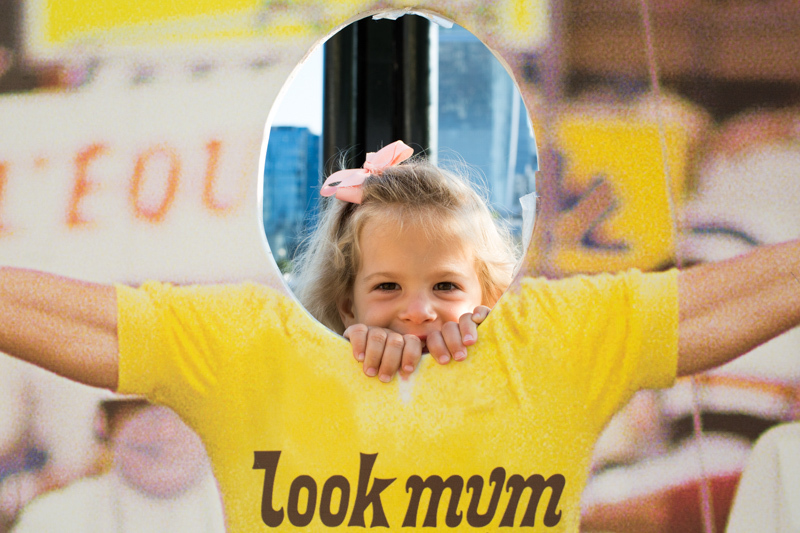 As her family tried to persuade her to join in with the group photo, I captured the first image of the blog. 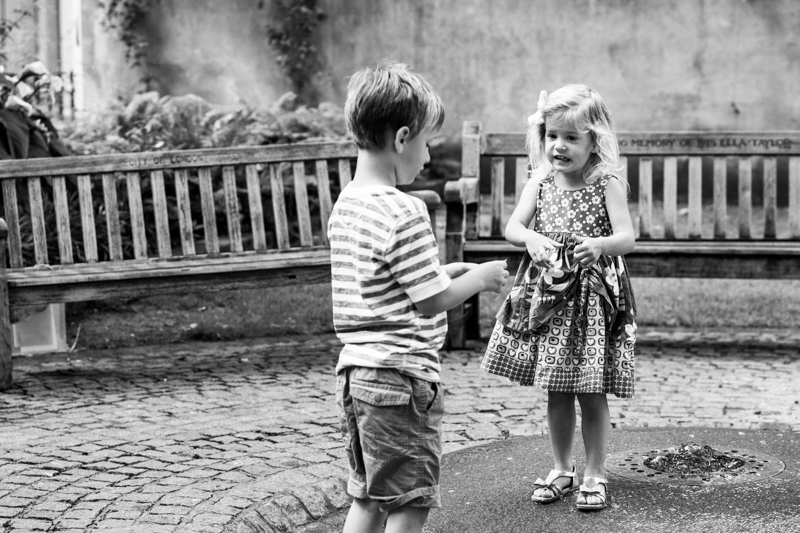 As a documentary family photographer, my favourite photos are often the shots where real life kicks in. 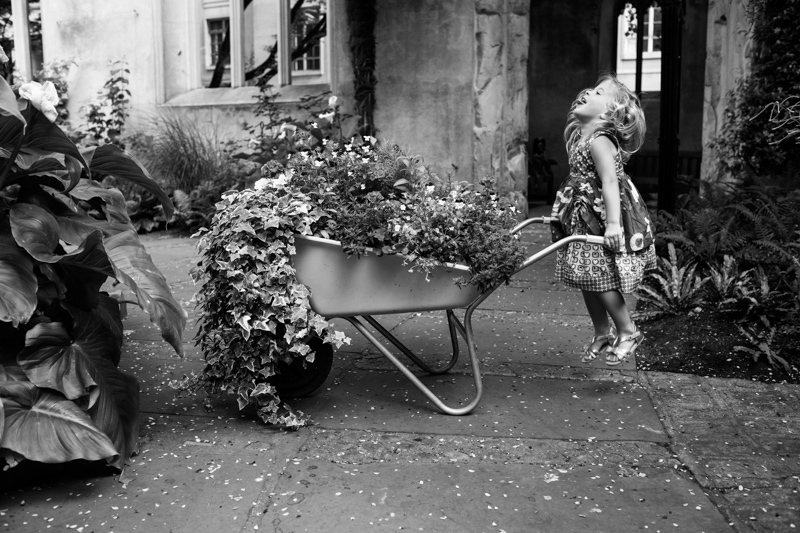 It’s the image where you can feel what it is really like to be a parent – wonderful but hard work! In years to come I hope the family will show this photo to their children and enjoy it as much as I do. If you’ve never visited St. Dunstan in the East Church Garden before you should go! 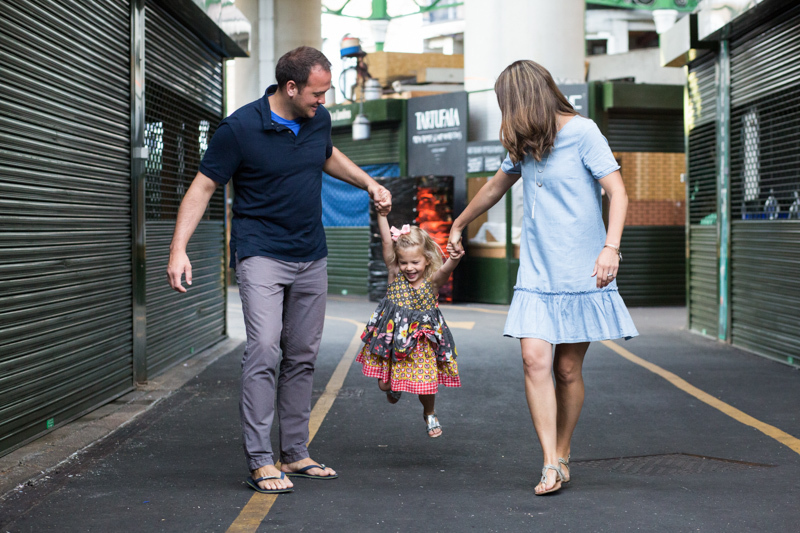 After capturing some portraits and more relaxed shots at Borough Market we began walking along the Southbank towards Tower Bridge. At this point I was so glad we’d started at sunrise. The heat of the day was certainly starting to build – it was going to be a scorcher! 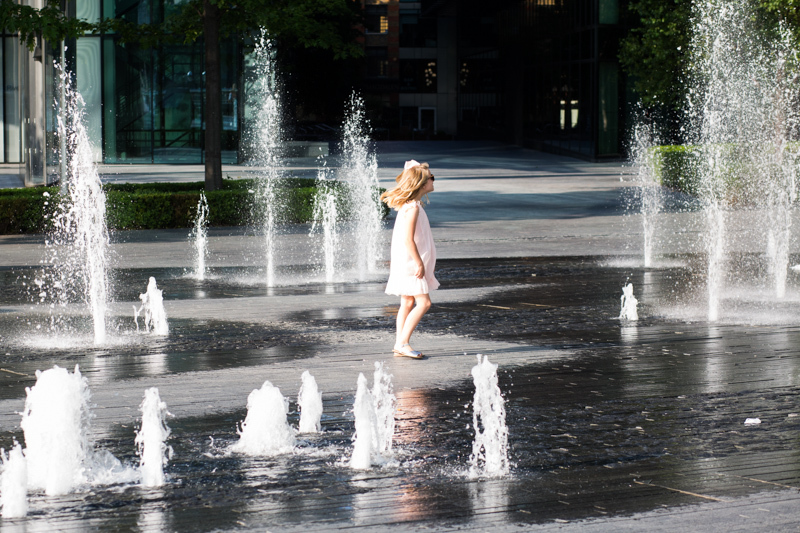 The children had lots of fun playing games by the River Thames and enjoying the sites of London while we took more photos. 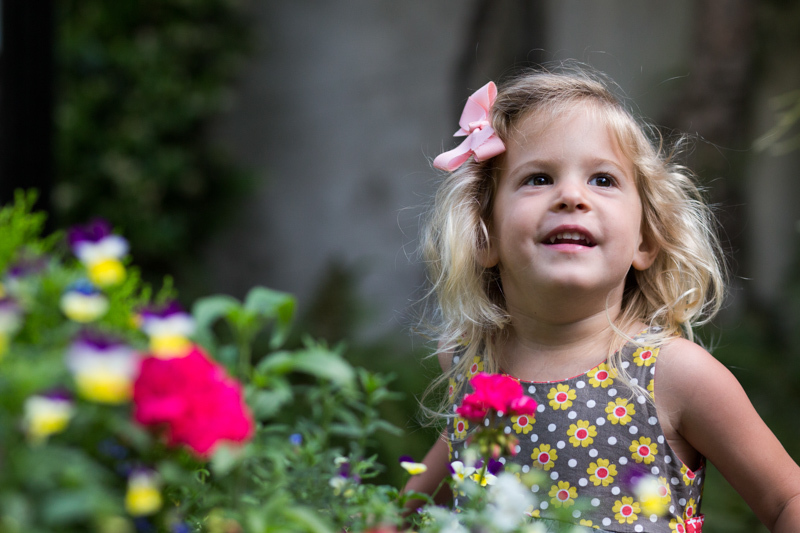 After crossing over Tower Bridge and making use of the Tower of London as a backdrop we made our way to St. Dunstan in the East Church Garden. I had never visited this beautiful place before and I was absolutely bowled over. It’s a hidden gem that Dave had discovered and fallen in love with. The bombed out ruins of a medieval church have been transformed into the most wonderful space with wall shrubs and a fountain. 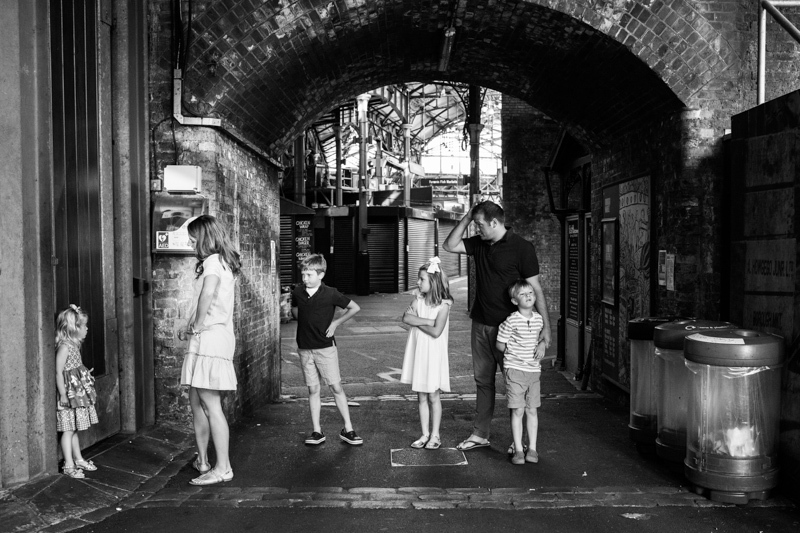 We got some really lovely family photography portraits in the arches of the walls, some of my favourite images of the day. After another lovely morning with Dave and his family we got to planning the final part of our photography adventure – photos and blog to follow soon……..